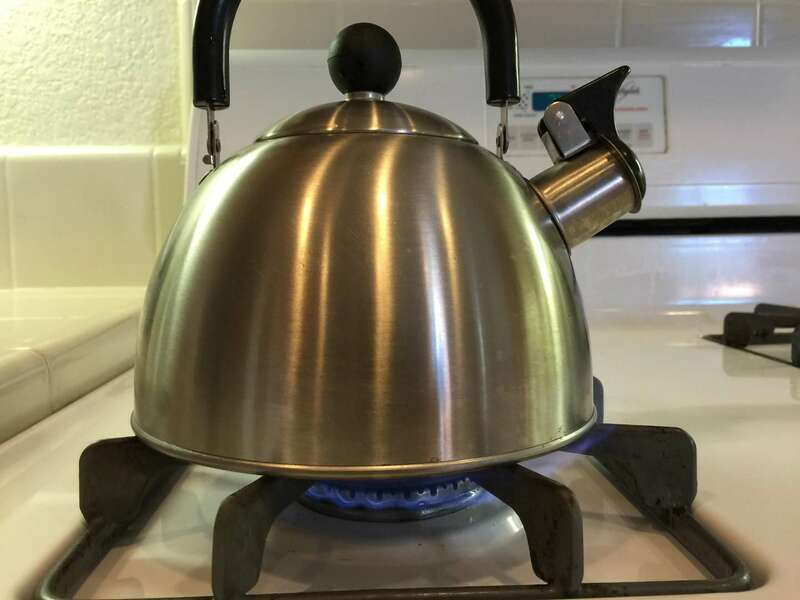 You can heat the water a number of ways, but I'll be using a tea kettle and heating the water over the stove. You should use 2 tablespoons of ground coffee for every 6 ounces of water. 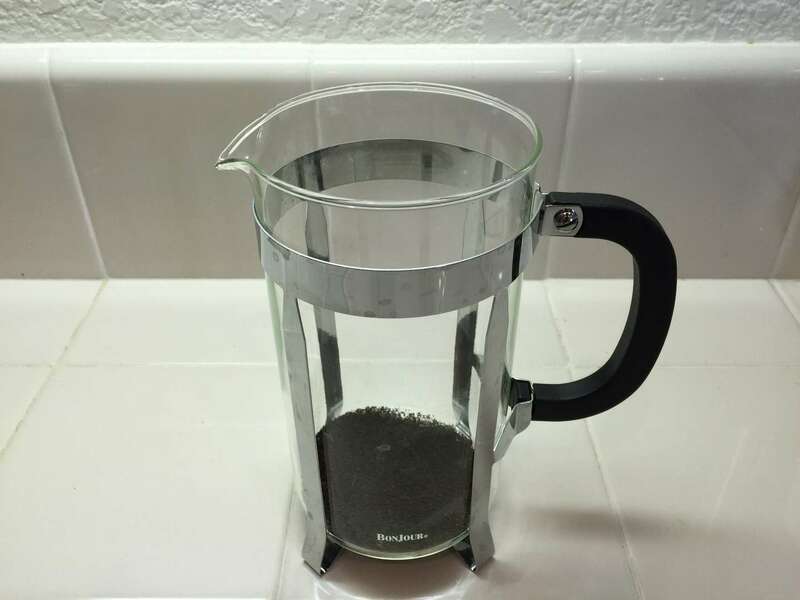 Pour the coffee grounds into the French Press. 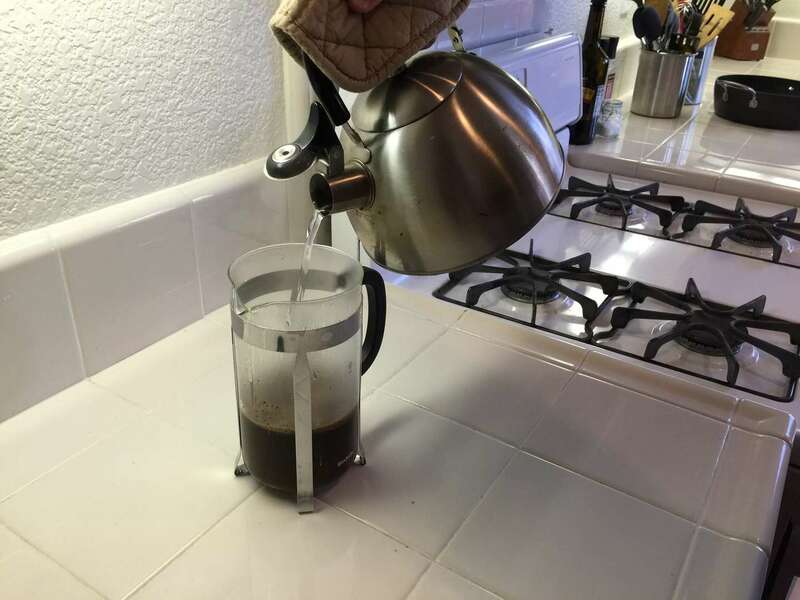 When the water has come to a boil, add the just-boiled water to the coffee grounds. Remember to maintain your proportion of 6 oz of water to 2 tablespoons of ground coffee. Make sure to stir with a long spoon to help release the flavor. Steep coffee for 4 minutes, then enjoy! 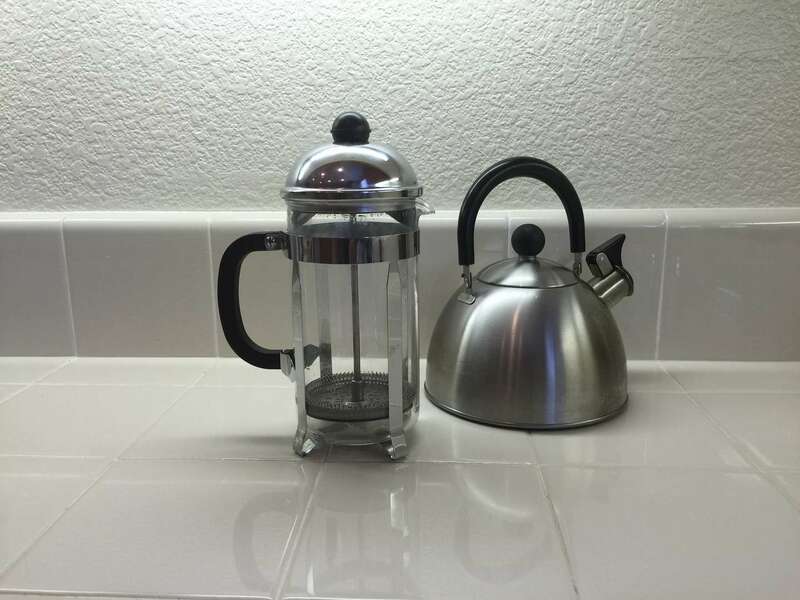 You should let the coffee steep for 4 minutes for smaller pots and 5 minutes for larger pots. After it steeps, you're ready to pour the perfect cup.